Our Pasadena dryer repair experts are at your service! Whether you have specific issues with your appliance or want to maintain it to avoid trouble, we are here to help. As specialists in home dryers and trained to fix all brands, our dryer technicians at Around Town Appliance Repair Pasadena, CA, can assist you with any matter related to your laundry room appliance. The weather in California might be nice, but who has time to hang clothes to dry? Dryers have become a necessity in every household and our team has become the number one favorite team of Pasadena residents for all relative services. We have a lovely washer and dryer repair team in our company and make sure your needs are covered in a timely manner. When it comes to such important laundry room appliances, we make sure problems are fixed right away. Dryers are supposed to have enough air to dry clothes without suffocating. That means all components must be clean, functional and free of lint; otherwise, airflow will be obstructed. With our routine dryer service, we make sure of these things. Our professionals take care of concentrated lint, replace the damaged components and tune up the appliance so that it will be functional, last long and will never jeopardize your family’s safety. Do you know when to call us for dryer repair? Anything out of the ordinary should be reported to our Appliance Repair Pasadena dryer team. Don’t take any risks with your safety. Our professionals offer emergency, same day assistance and can help with any problem. Increase your safety by trusting our annual maintenance service and trust us to install a new dryer. 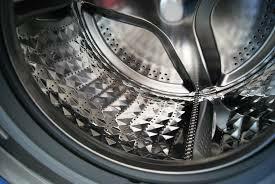 We have long experience and exceptional dryer installation skills. We do not only install the appliance, but make sure it is properly installed for higher safety. Call us for any dryer need!